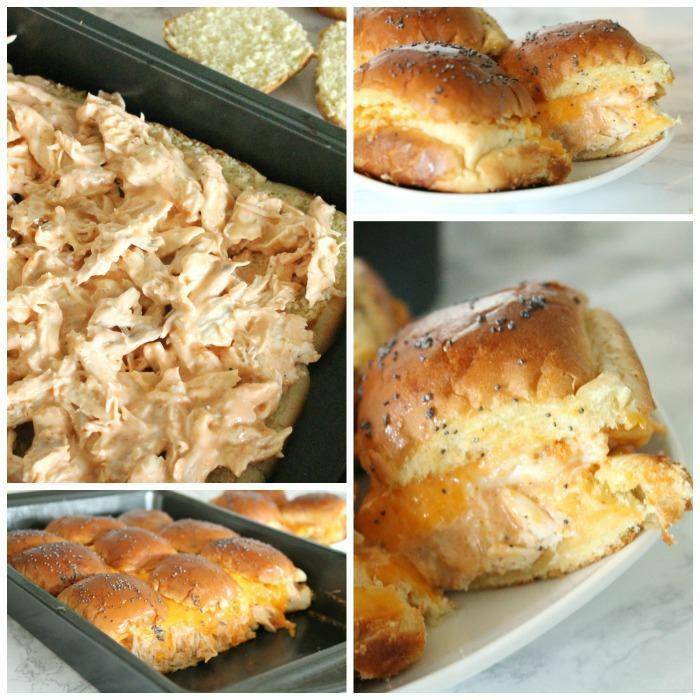 Home / Savings Blog Posts / Recipes / Appetizer Recipes / Buffalo Chicken Sliders Recipe with Hawaiian Rolls! 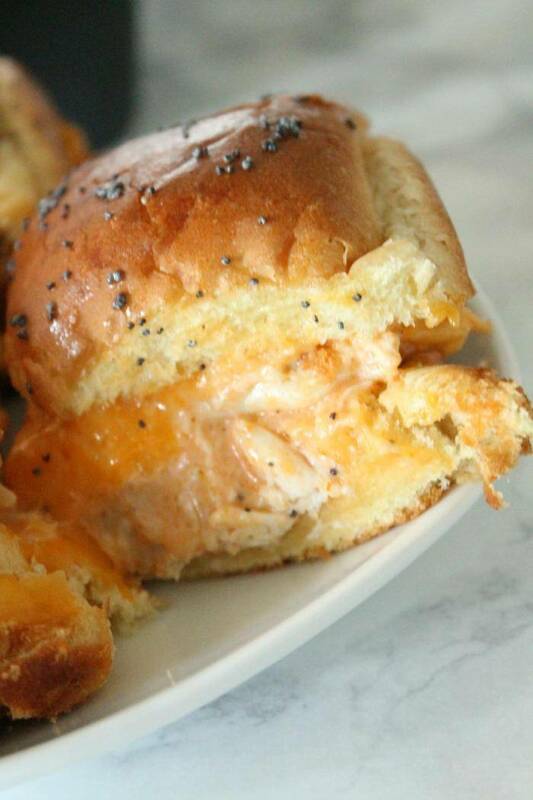 This Buffalo Chicken Sliders Recipe is Perfect for Game Day. Made with Hawaiian Rolls it’s the perfect Appetizer or Finger Food. 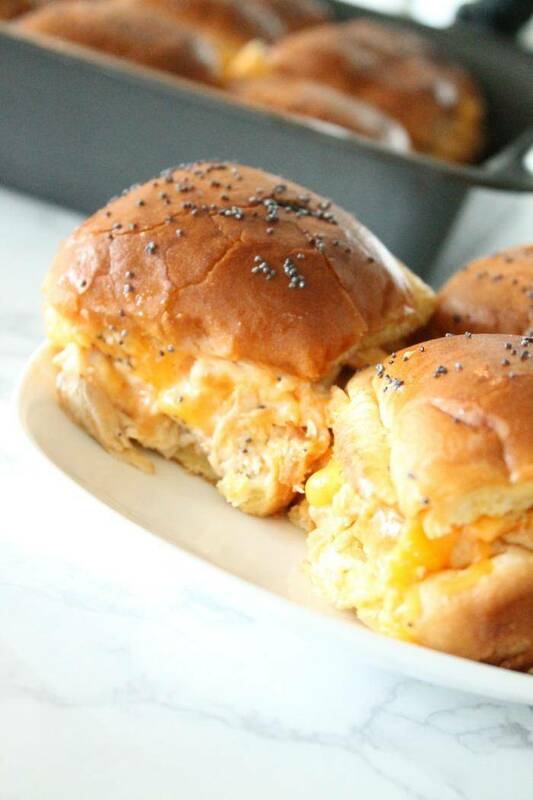 You will want to try these Buffalo Chicken Sliders Recipe with Hawaiian Rolls for your next football party or tailgate! Have a home game this weekend?! No problem!! Planning a watch party for an away game?! No problem! I’ve got you covered with this super easy snack or meal recipe! 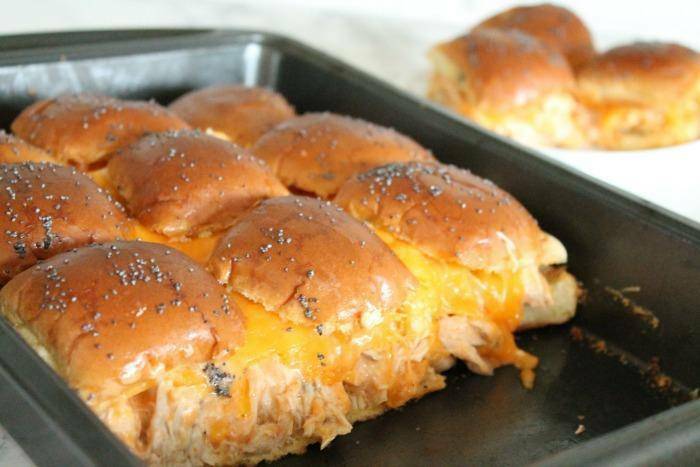 I love just about anything made with Buffalo Chicken and I was looking for something that would be easy to make ahead of time and have warm and ready to serve, these sliders are a twist on a Turkey and Cheese Roll Up that we make all the time, I LOVE the Hawaiian Rolls, that’s probably my favorite part of this entire recipe! This Buffalo Chicken Sliders Recipe perfect finger food and appetizer, but also a great main dish if you are putting it with other snacks, side dishes, and appetizers! So flexible and super easy! A crowd favorite for sure! If you are like me, you love hosting and entertaining, but sometimes you get tired of the same recipes, this one is for you. I am excited about this option because it is new and different. Plus, I haven’t met anyone yet that doesn’t like to try these! I hope you enjoy this recipe as much as I do! I hope that it saves you time and sanity in the kitchen the next time you are hosting a party! Have fun creating side dishes and desserts to pair with this super easy sliders recipe! Here is a recipe for my favorite Spicy Game Day Nachos! Put these snacks together and serve both if you are having a big crowd! Is there a sauce cooked on top? I can see poppy seeds on top. What goes on the top? 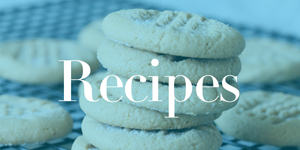 I can see poppy seeds,but I don’t see anywhere in the recipe where they go on. Yes, they are poppy seeds. You can melt some butter and mix poppy seeds in and then brush that on top of the rolls with a pastry brush! Where does the poppy seeds enter into this recipe? Is part of the recipe missing? Hi Sandy, yes you can melt a little butter and add some poppy seeds to it. Then spread that mixture on the top of each roll with a pastry brush! You can leave them plain also.